LONDON (Reuters) - The head of French carmaker PSA (PEUP.PA) played down the threat to British factories when he discussed the potential takeover of GM's (GM.N) European operations with union officials and politicians in London on Friday. 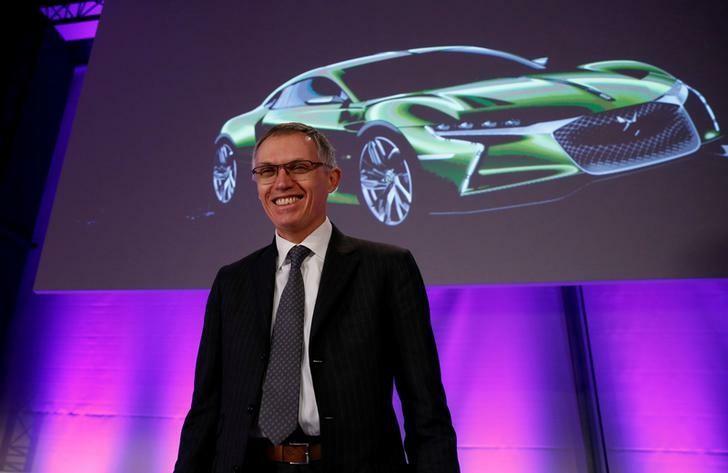 The British visit was the latest part of a charm offensive by Carlos Tavares, chief executive of Peugeot-maker PSA, after news broke last week that PSA was in talks about a possible purchase of the Opel business. Germany accounts for about half of Opel's 38,000 staff, while 4,500 are in Britain where Opel operates as Vauxhall and there are concerns in both countries about the impact of any deal on jobs. Britain's business minister Greg Clark said talks with Tavares focused on the firm's desire to boost output. "We discussed how PSA's approach is to increase market share and expand production rather than close plants. I was assured that the commitments to the plants would be honored," Clark said in a statement. "There was also recognition that members of the Vauxhall pension fund will be no worse off." Tavares said this week that the combined company would aim to sell more than 5 million vehicles annually within "a few years". PSA and GM Europe delivered 4.3 million vehicles between them last year. Tavares also delivered a similar message to the Unite union's General Secretary Len McCluskey on Friday. "He talked in terms of not being here to shut plants. That's not his nature," McCluskey, the head of the country's biggest union, told reporters, adding the talks were "relatively positive". But McCluskey said there remained a lot of issues to discuss, including that of pensions. The Vauxhall pension scheme has a deficit of up to 1 billion pounds ($1.25 billion) according to a source. In a statement PSA said Tavares used the meeting to reaffirm "his commitment to conduct this dialogue in accordance with existing agreements and the ethical approach of the PSA Group." PSA said this week it would respect existing labor agreements if a deal took place. Underlining concerns about jobs, Opel's European works council said it had agreed to open a line of communication with its counterpart at PSA Group.